The whole experience went like clock work. We met our driver by terminal # 1 when we got off of our cruise ship. We were entertained the entire time on the bus while driving to the cave entrance. We got to taste cashew wine, which Belize now makes, and readily sells for $10 a bottle. 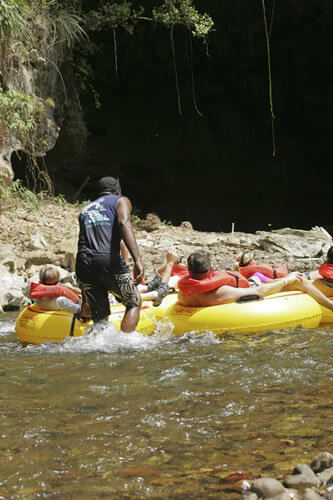 Our tubes were carried by the tour group which no other tour group offered. We had to wait in a line for about 20 minutes, because of the large crowds, to launch our tubes. There were four other cruise ships in the port that day. 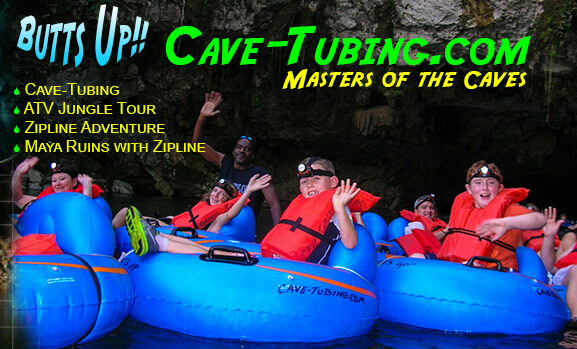 We went on the zip lining/cave tubing excursion mid March. I was a little nervous not booking with our cruise ship, but the money we saved and the experience we had was one of the best adventures our family ever took. Jimmy, Arleen, and Dirty Harry were excellent tour guides. Jimmy insisted on carrying my daughter's and my inter-tubes on the hike to the cave. Once inside the cave it was so beautiful and completely amazing.